The Mercy Foundation has a commitment to staying well informed and up-to-date on homelessness, housing and other key social justice issues. In order to advocate for policy and program change that is ‘evidence based’ it is essential that we know what works and why. From time to time the Foundation has commissioned research on a specific topic. A good example is the research work on older women’s homelessness in Australia. The most recent report, Retiring into Poverty – National Plan for Change – Increasing Housing Security for Older Women 2018, was produced by the National Older Women’s Housing and Homelessness Working Group established by Felicity Reynolds, Mercy Foundation CEO. The Mercy Foundation assisted in funding the report Older Women’s Studio Development Project in December 2016. This is a co-design project to inform design guidelines suitable to the housing needs of single homeless older women. Another report released in 2016, A Plan for Change: Homes for Older Single Women, proposes a number of initiatives to help oder women to live in homes that are safe, secure, affordable and appropriate. The public conversation about the growing numbers of older women living in poverty and their need for affordable housing options was started in 2014 with the publishing of,Older Women’s pathways out of Homelessness, a report commissioned by the Mercy Foundation. The research for this report was undertaken by Dr Maree Petersen at the University of Queensland. The Mercy Foundation convened a working group with representatives from the homelessness, housing, women’s and aged sectors which resulted in several achievements over a 3 year period: older women’s homelessness on the policy agenda in NSW, media attention to the issue, some new housing initiatives targeted specifically for older women and a studio design research project informed by older women. The Mercy Foundation has also supported a number of research projects through its Grants to End Homelessness program since 2008. See the Grants section of this website. The Mercy Foundation’s CEO, Felicity Reynolds, is an Australian thought leader and expert on homelessness and effective policy and practice to end people’s experience of homeless. Some links to recent articles, conference and forum presentations are provided below. In late 2014 the book Homelessness in Australia was published by UNSW press. The final chapter titled ‘Reforming the Service System’ was co-authored by Dr Jane Bullen and Felicity Reynolds. Copies of the book can be purchased from the Council to Homeless Persons in Victoria or via many online bookshops. 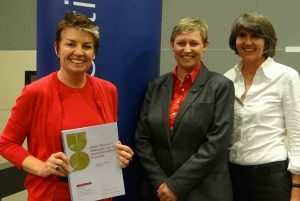 In 2008 Felicity Reynolds was awarded a Churchill Fellowship to investigate effective responses to people who experience chronic homelessness. That report can be accessed here. The Mercy Foundation also performs a role with the housing, homelessness and social justice sectors by planning and hosting public workshops and forums that highlight relevant issues. These events focus on good practice, better homelessness and housing policy responses and specific issues of relevance to people who are working to get homeless people into housing – and to support people to stay housed. Since 2008 the Mercy Foundation has hosted 24 workshops and forums for workers, leaders and the general community. We plan to continue to host these types of information and education opportunities, so keep visiting our website to hear about up-coming events. The following are workshops and forums hosted by the Mercy Foundation. Summaries and presentations from recent forums are available by clicking on the title of the forum. If you’re interested in information from earlier forums, please contact the Mercy Foundation. 2014 Connecting and Collaborating: What are we doing to assist asylum seekers in Sydney? 2009 What would it take to end homelessness?